In the winter of 2000-2001, a “For Sale” sign went up on land along Ballaine Road down in Goldstream Valley. 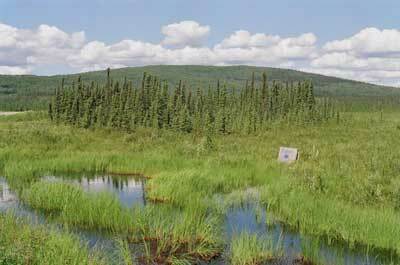 Concerned neighbors talked to the Interior Alaska Land Trust. The land was too wet for development, and was part of the Goldstream Valley trail system. 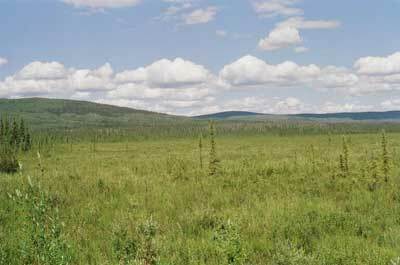 The Interior Alaska Land Trust contacted the owner, Brock Cordes, in Canada. Brock Cordes grew up in Fairbanks, and fondly remembered the property. He did not want to see it developed, but no longer wanted to pay property taxes on land he did not use. He agreed to sell the property to the Land Trust at a much reduced price. 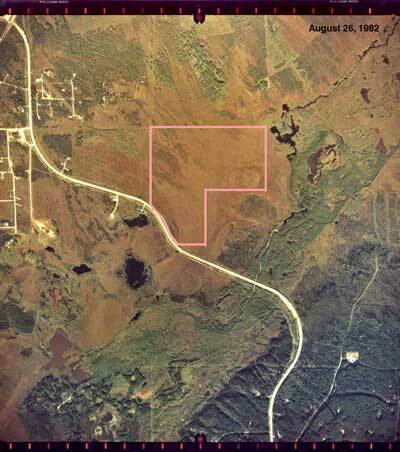 In 2005, after several years of fundraising for this “Blueberry Preserves” project, and after receiving donations from hundreds of local residents and a grant from the Rasmuson Foundation, the Interior Alaska Land Trust was able to finalize the purchase of the property. The property is 111 acres of shrubby wetlands flanking Ballaine Road on the north side of Goldstream Creek. The property is an important “link”, connecting State-owned public recreation lands on the east and west sides of Ballaine Road that are part of the Goldstream Public Use Area. The property is a prominent part of the open space and scenic views Fairbanks residents enjoy when traveling on this road. It is used by skiers, dog-mushers, and of course berry-pickers!